Picture perfect winery wedding ceremony at Lincourt Vineyard in Santa Barbara wine country in the city of Santa Ynez. 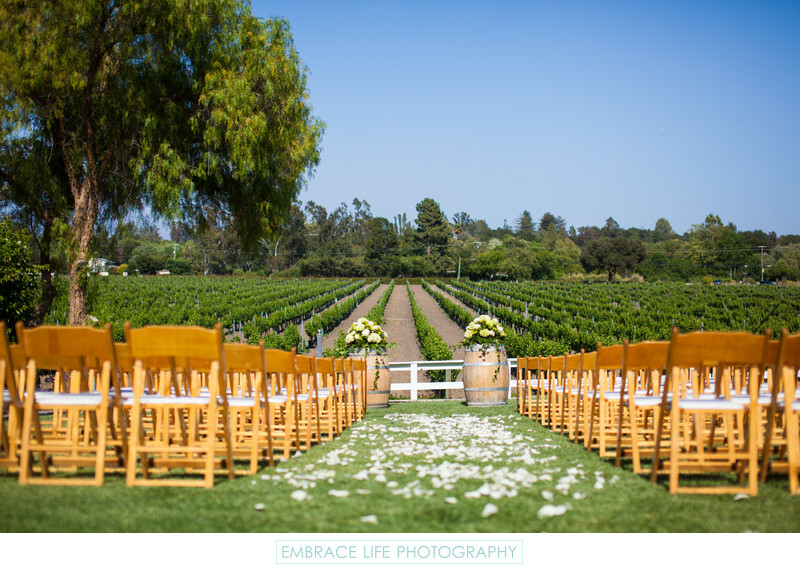 Wooden chairs surround the white flower petal lined ceremony aisle in front of wine casks topped with large white bouquets by Yamaguchi Flowers and a backdrop of grape vines, trees and a clear blue sky at this wedding coordinated by Avante Events. Location: 1711 Alamo Pintado Road, Solvang, CA 93463.